I love my homemade Scottish shortbread recipe. I’ll make it whenever I feel a need for a celebration or for something a bit sweet. Although mostly attributed to Mary, Queen of Scots, shortbread is believed to have first appeared in the 12th century. 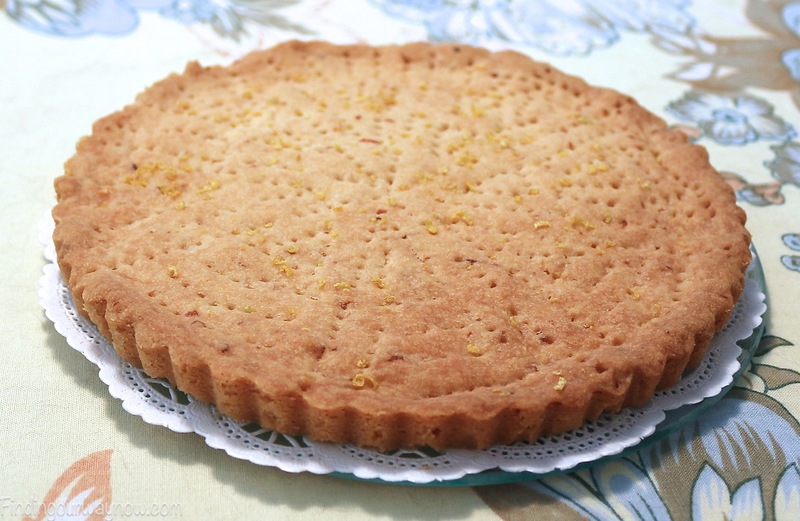 At that time, shortbread was a very expensive luxury reserved only for special occasions such as Christmas, New Years or significant celebrations. Today it is still a tradition in Scotland to offer shortbread to the first person to enter the household of a home on New Year’s Day. Today you will find there are many different recipes and regional variations for this easy and delectable cookie. This is the one I use the most. Preheat oven to 325 degrees. Lightly butter a round 8-inch removable bottom tart pan or use an ungreased parchment or Silpat-lined sheet pan. In a medium bowl beat butter until it’s light in color – about one minute. Gradually mix in sugar, salt, and vanilla until light and fluffy, scraping down the sides of the bowl when needed. 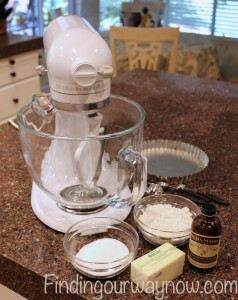 Little by little, add the flour into the butter and sugar mixture, continue to mix until you achieve a soft dough. Notes: You may add other flavorings to this Scottish Shortbread Recipe such as lemon juice or extract and zest, bits of nuts, seeds or even a bit of lavender. For the best results use the best butter you can buy and fresh flour. It makes a difference in the overall result. 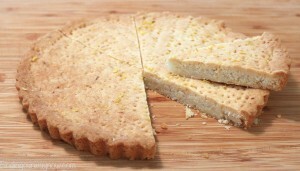 Variation: Lemon Shortbread Cookies – Add 2 teaspoons of finely chopped lemon zest with the dry ingredients. In place of the vanilla extract, add 1 tablespoon of freshly squeezed lemon juice. 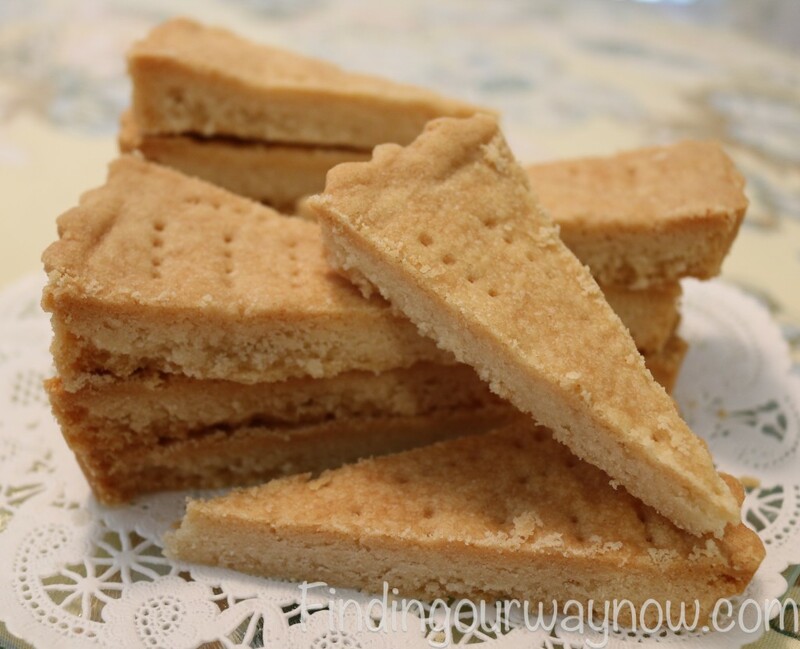 These shortbread cookies go especially well with a good cup of tea, coffee or my Homemade Hot Cocoa Mix. As you can see, this Scottish Shortbread Recipe is so super easy you’ll wonder why you pay so much for the store-bought shortbread. For that reason, I love to give these away as gifts, packaged in a cellophane bag with a bit of ribbon.